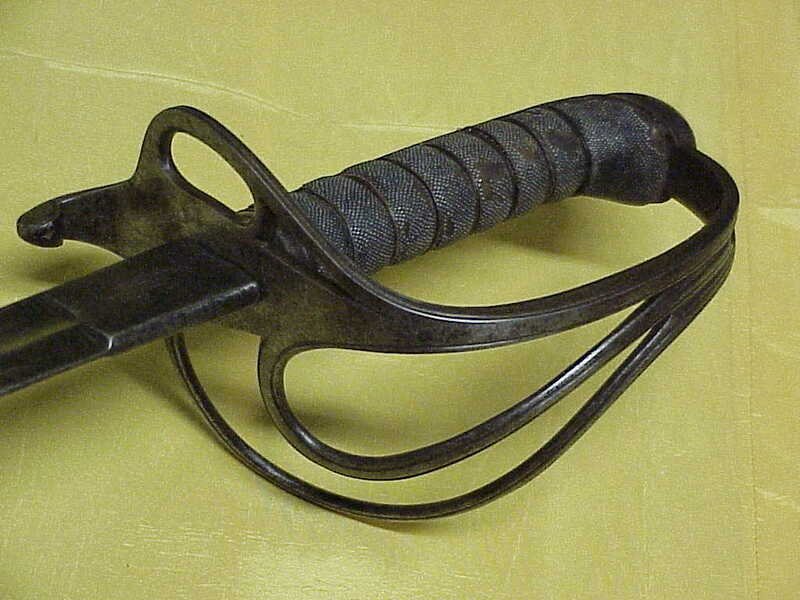 We have been getting many requests to separate our vintage military collectables pages into like groupings so we are starting that with this page of pre-1898 military gear, accoutrements and implements of war. 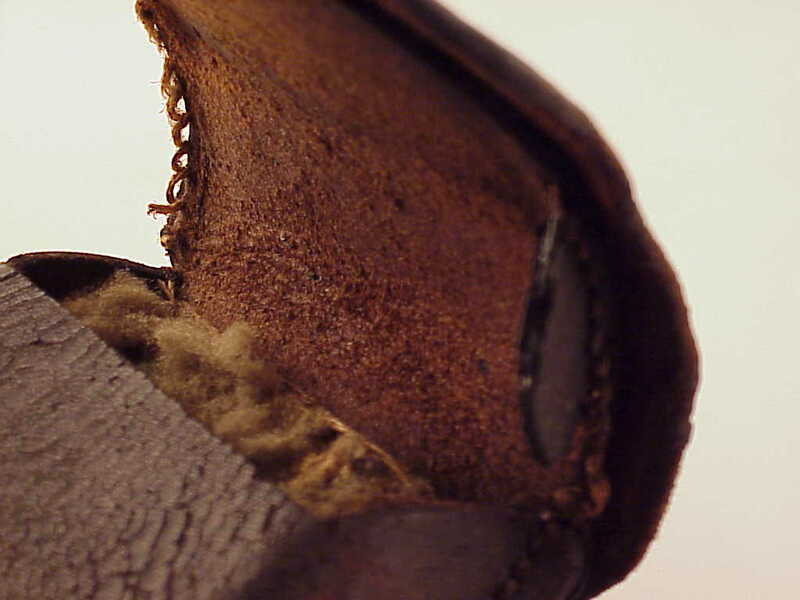 2) US Military Percussion Cap Box wool lined, supple leather but it is starting to craze and one inner side flap is missing. 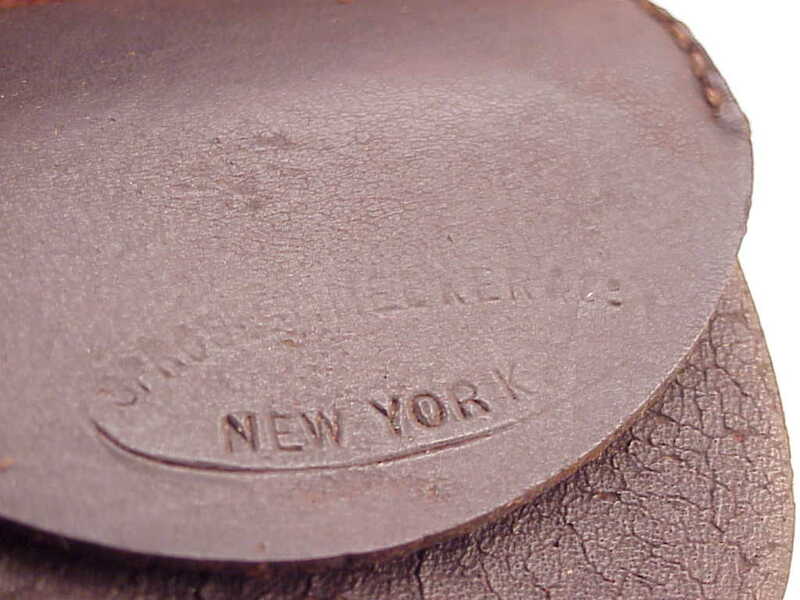 It is maker marked and "New York" in an oval (but very faint), see thumbnails. 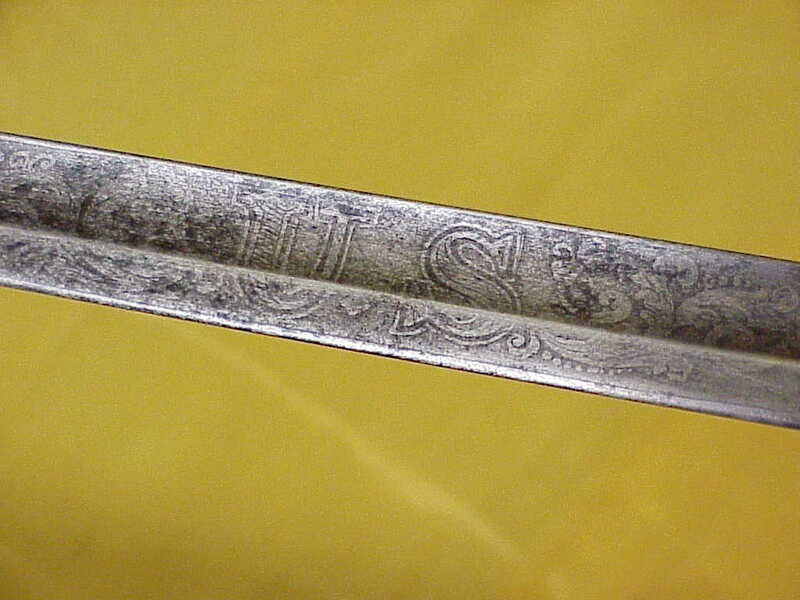 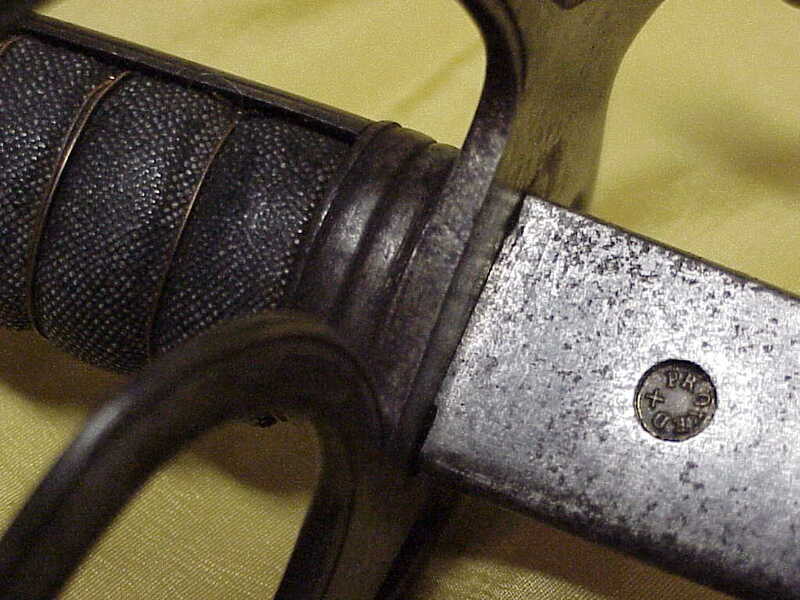 Civil War era and getting hard to find in any condition, we rate this one as very fine. 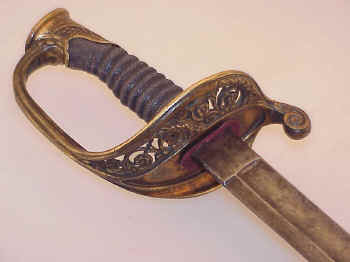 We have it priced at ... $295.00 ... BUY NOW. 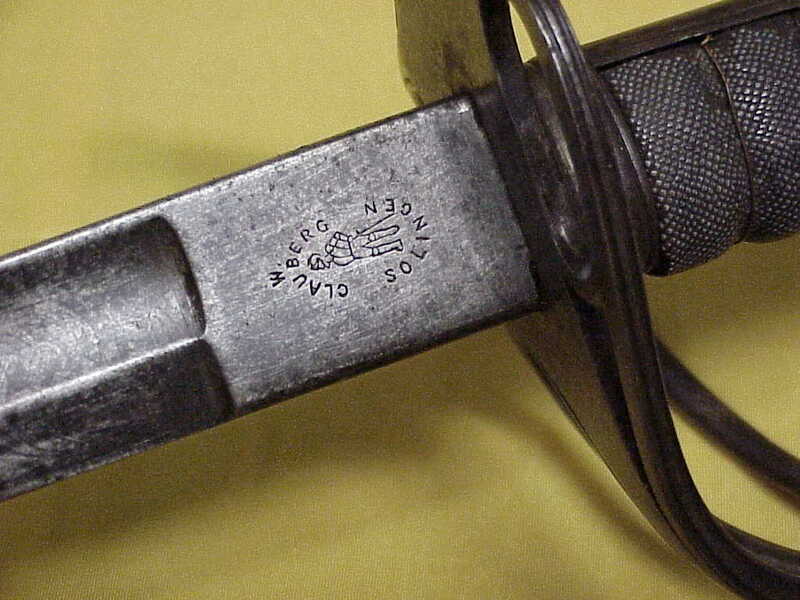 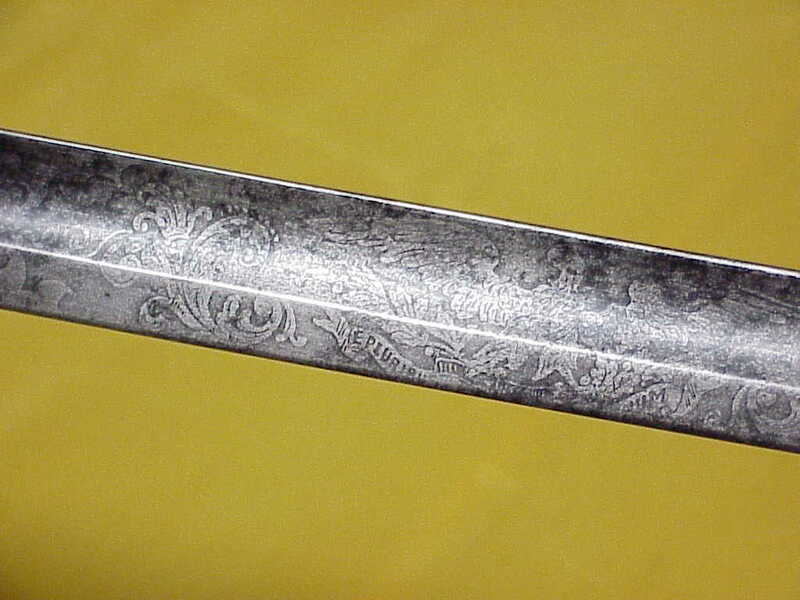 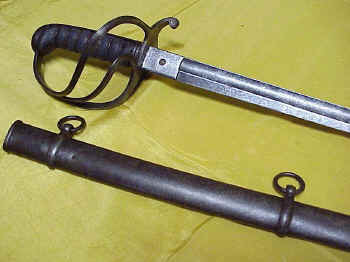 4) US Military Issue Bayonet and metal scabbard with attached leather frog and brass swivel belt hanger marked "US" in circle. 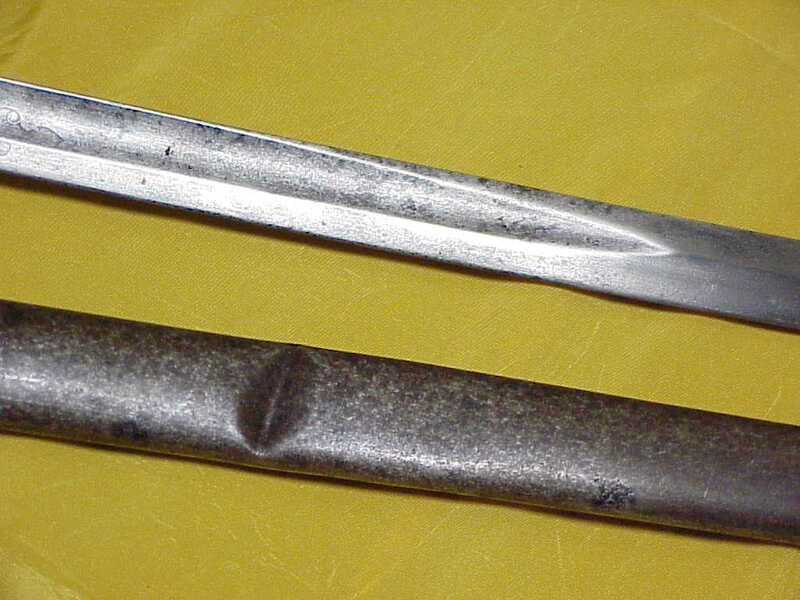 Type used with .58 caliber 1861 Springfield Rifle and similar. 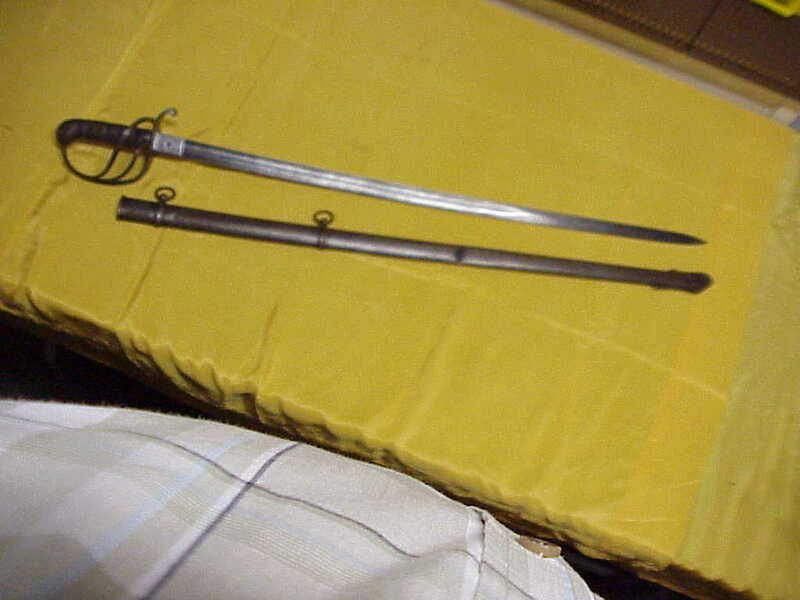 All in fine condition and priced at $350.00 ... BUY NOW. 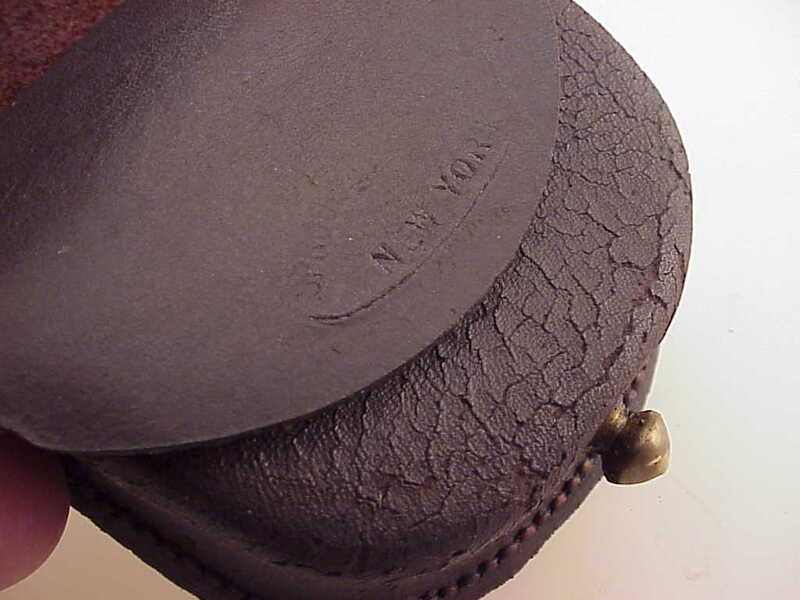 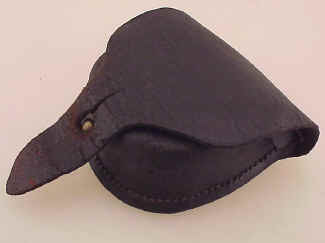 5) Military Field Glasses with purple velvet lined, leather case. 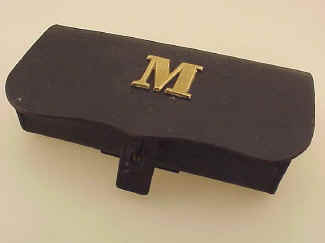 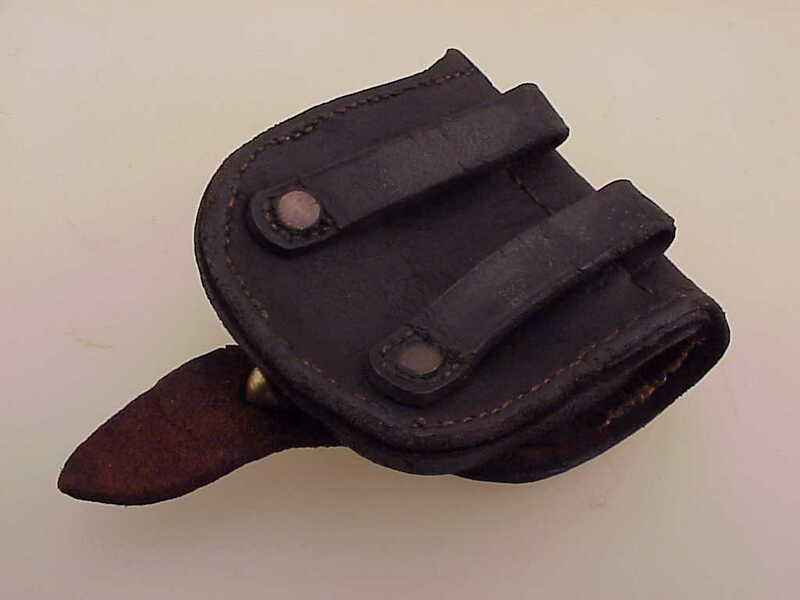 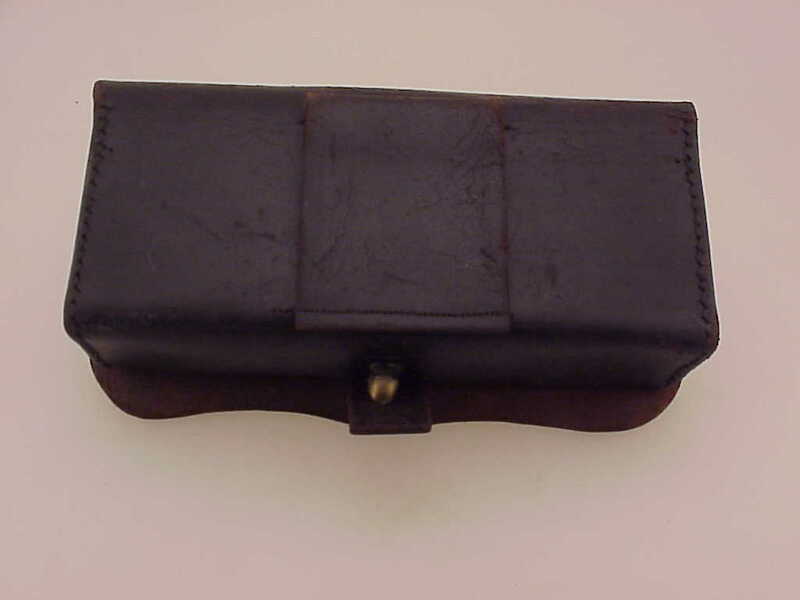 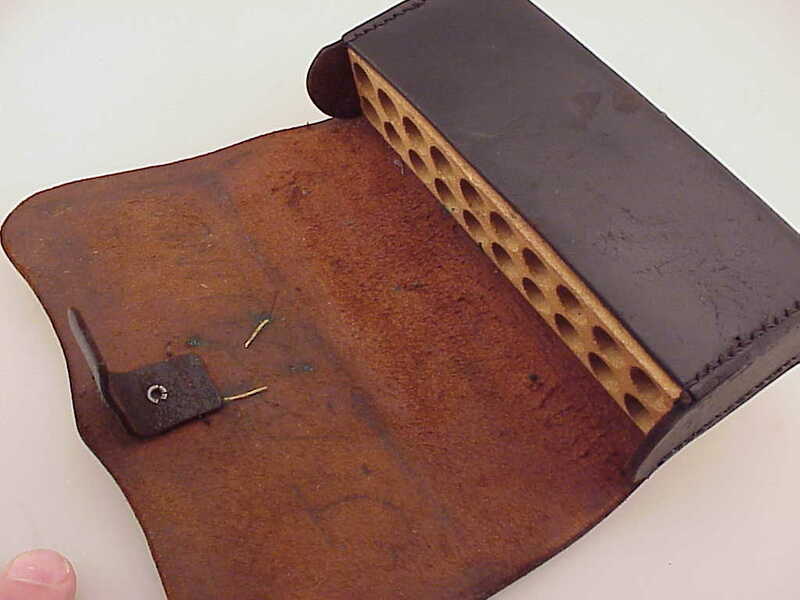 6) Military leather cartridge box with brass "M" attached to cover.